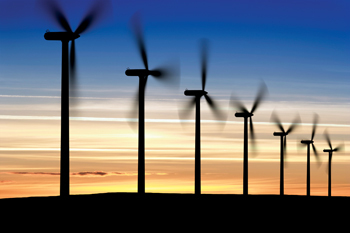 Oman plans to build its first major wind farm at a cost of $200 million to generate electricity in its southern governorate of Dhofar, as part of efforts to limit the use of oil and gas in power generation, reports Reuters. The wind farm at Harweel will have a capacity of 50 megawatts (MW), enough to meet about 50 per cent of demand in the governorate during the winter, and is expected to begin operating early in 2017, state-owned Rural Areas Electricity Company (RAEC) said in a statement. The project will be co-ordinated by Abu Dhabi Future Energy Company (Masdar) and financed by a grant from Mohammed bin Zayed Al Nahyan, the Crown Prince of Abu Dhabi, RAEC officials said. The UAE is a significant aid donor for Oman. The company plans to launch seven more renewable energy projects in 2015: five solar energy projects at a total cost of RO3 million ($7.8 million), and two wind power plants. Other reports quoted Raeco CEO Hamed Bin Salim Al Magdheri as saying the technology to be used would be of world-class and fruit of the latest scientific research. “Whatever is available locally and can be provided by SMEs in particular and everything made in the sultanate will be used; only the technology and devices that are not available in Oman will be imported,” he highlighted.